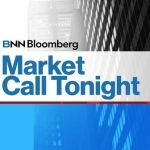 Potash Corp of Saskatchewan (POT.TO) (POT.N), the world’s biggest fertilizer company by market capitalization, reported higher-than-expected quarterly profit on strong potash sales, but its 2015 outlook disappointed. Potash Corp sold 2.5 million tonnes of potash, the most ever in a fourth quarter and up 42 percent year over year. Its average realized potash price was $284 per tonne, up marginally from a year earlier. Prices have been slow to recover since the breakup in mid-2013 of one of the world’s biggest potash traders, Belarusian Potash Company, but softer prices have stimulated demand.